Cozy and Cute! This knit Pusheen Beanies are the perfect accessory to complete your outfit. Wear these beanies to keep your head warm or just to add a feline adornment to your style; be the cutest cat on your block! 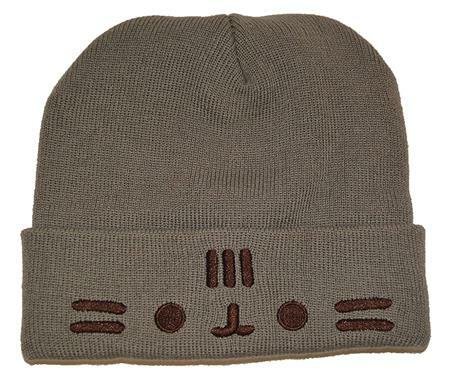 Cuffed Face: Features Pusheen's cute face on the cuff of the beanie. 100% Acrylic.